Here are some reviews and book recommendations for you to browse through. 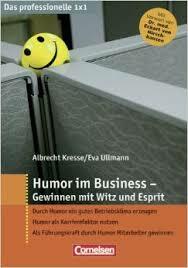 We have selected publications that are related to humour either in form or content – they may present serious content in a humorous package, deal with research on the topic of humour or with humour that we encounter in daily life. Gründe gibt, sich ernsthaft mit dem Thema Humor zu beschäftigen und die eigene Humorfähigkeit zu reflektieren. Ob im Umgang mit Kollegen und Kunden, beim Führen von Mitarbeitern oder bei der Entwicklung der eigenen Karrierechancen – Humor kann ein liebevoller Beschleuniger von Vertrauensbildung und ein guter Verhandlungspartner sein. Albrecht Kresse ist Trainer und Coach und arbeitet als Gründer und Geschäftsführer der edutrainment company GmbH daran, Lernen und Trainieren mit Unterhaltung und Spaß zu verbinden. 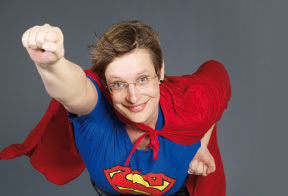 Eva Ullmann ist Trainerin, Moderatorin und Humoristin sowie Gründerin und Leiterin des Deutschen Instituts für Humor in Leipzig. 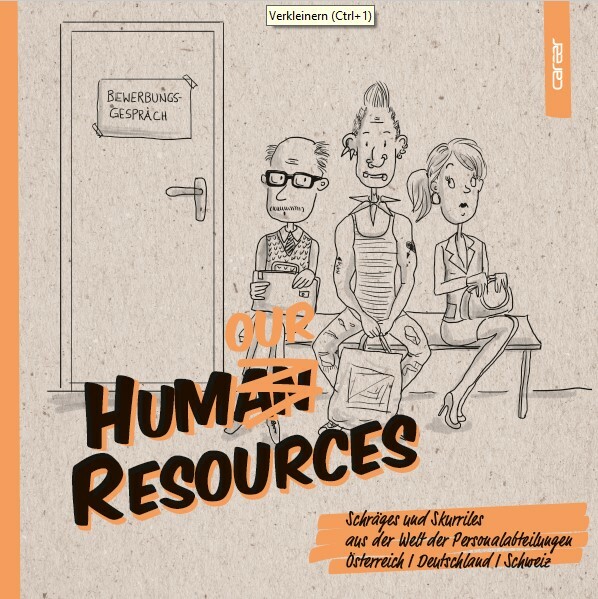 Dieses Buch bietet unterhaltsame und wunderliche Anekdoten aus der Welt der Human Resources. Alles wirklich so passiert und selbst erlebt. For those who have had it with constant smiles all around: there finally is a book that takes your side! Barbara Ehrenreich, journalist and author of no less than 21 books, is renowned for uncovering and harshly criticizing social ills in the United States. 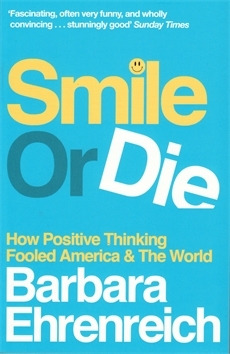 In her provocatively entitled book Smile or Die, she scrutinizes the concept of positive thinking and its effects on American society. She describes the plight of cancer patients, forced to remain cheerful when facing their illness, and attacks the prospering motivational business, both in the business world and in churches; finally, she takes to task the discipline of positive psychology. Smile or Die has a clear mission, which sometimes favours sensationalism over objectivity. Parts of the book's argument are plausible and rational enough: for instance, that cancer patients should not be forced to be constantly upbeat seems entirely comprehensible. Yet other assertions are somewhat farfetched: for instance, that positive thinking single-handedly brought down the American economy. Moreover, the attack on the discipline of positive psychology mainly concentrates on the personal quirks Ehrenreich observed in the discipline's founder, Martin Seligman. Hören Sie rein in “Ich kann’s ja doch! von Eva Ullmann.